This vegetarian slow cooker lentil sloppy joe recipe served over spaghetti squash is absolutely delicious! 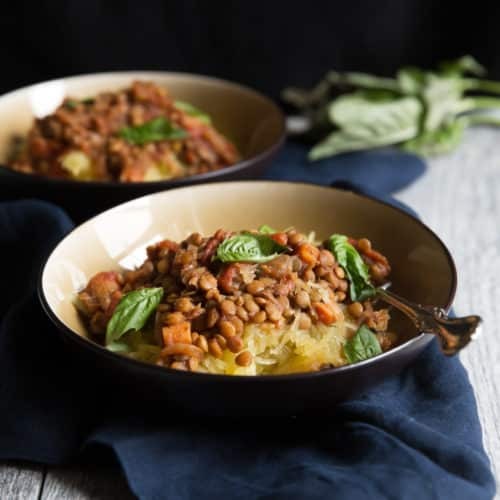 We realize most people think of sloppy joes being served on a white starchy bun, but you will be pleasantly surprised at how much better the spaghetti squash works in this recipe. We couldn’t believe this easy protein packed recipe took only 10 minutes to prep, and the leftovers are amazing!